On January 9th, 2019 House Bill 501 was introduced and read in the Missouri House of Representatives, designating the ‘Show-Me’ tartan (registered with the Scottish Tartans Authority) as the official tartan for the state of Missouri. 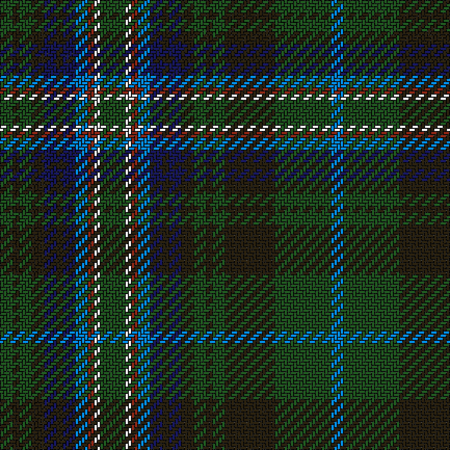 This is the design that will be proposed to the state legislature for the official state tartan. If accepted, Missouri will become the 29th state to adopt an official state tartan. The original bill HB 1968 did not receive a final vote last year. We will continue to post updates as they arrive. We hope it will receive a final vote this time so Missouri can have an official state tartan! Update: HB501 has passed committee on February 18th and will move on the next stage. Check back for more updates! 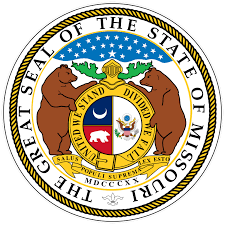 The design is derived from four inspiring symbols of the state of Missouri, the Eastern Bluebird, the Missouri Mule, the Crescent Moon, and the Bear. The green and blue lines represent the fields,rivers,woodlands, streams, and Ozark Mountains of Missouri. The light blue, red, and white stripes represent the Eastern Bluebird and ideals found in our state flag: vigilance, justice, valor, and purity. The first band of brown represents the Missouri Mule, and therefore our steadfastness, sturdiness, and industriousness. The narrow band of light blue crossing the Ozark Mountains represents the Crescent Moon, reminding us of our potential for prosperity and our status as the second state to be forged out of the Louisiana Purchase. The second band of brown represents the Grizzly Bear, a symbol of strength. Hence, this pattern stands for: vigilance and justice, valor, purity, steadfastness, hope, and strength.